Character - Apprentice. Points: 10/13. Health: 11. - Choose an opponent's character. 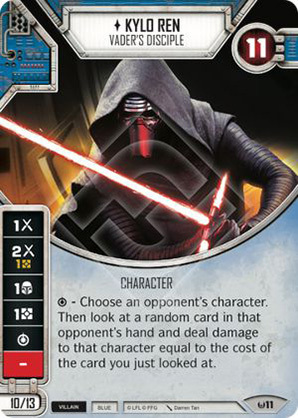 Then look at a random card in that opponent's hand and deal damage to that character equal to the cost of the card you just looked at.